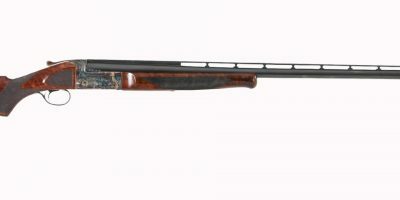 This is a Browning 1886 rifle that has been restored to its current condition. 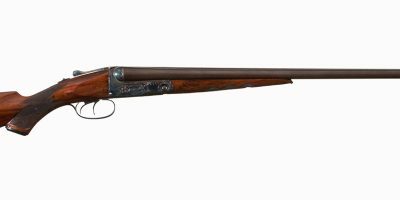 The gun has been restocked with English Walnut fore grip and stock. The stock has a black leather covered pad. 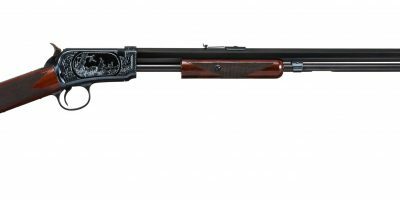 This gun has been re barreled to be a .45-70 and 21 1/2 inch barrel length. 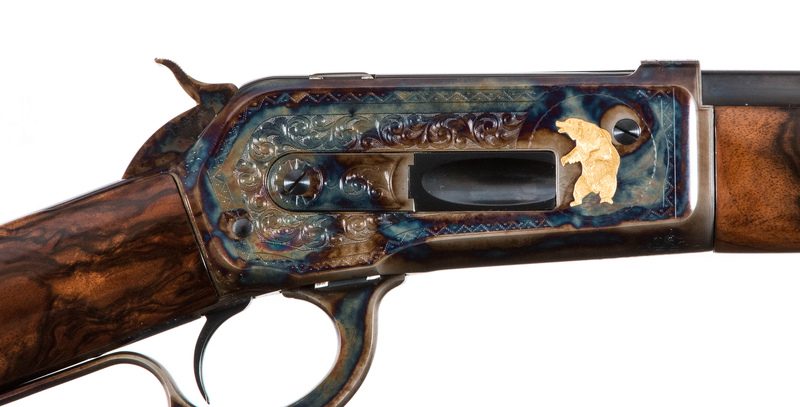 The engraving and color case hardened receiver was done by Turnbull in the late 2000’s. 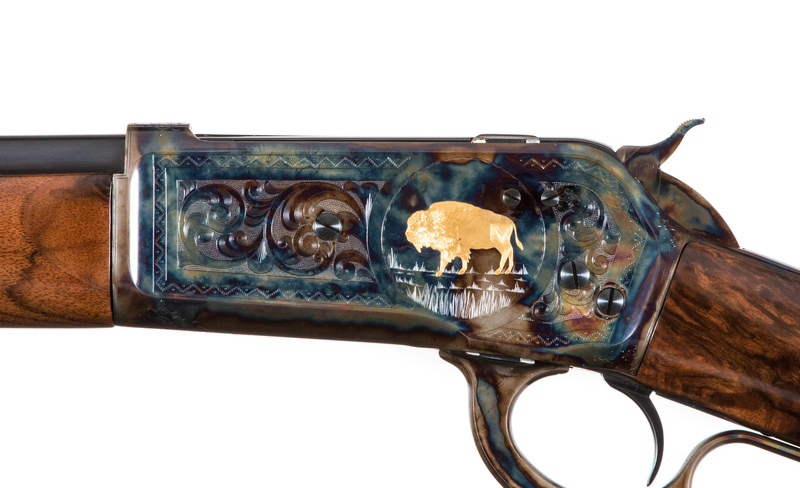 The engraving is the Winchester #9 pattern with a gold inlay of a bear on the right side and bison on the left side. The gun comes with peep sights as well. The gun is in great condition and is being sold as is.